The largest known bee-poisoning in Oregon results in important publicity for a simmering problem for pollinators. In the wake of the largest known mass poisoning of bees in Oregon State history, The Xerces Society - a Portland-based invertebrate conservation society - and Oregon State have temporarily restricted the use of over a dozen pesticides. On Monday, June 17 – ironically, the first day of National Pollinator Week 2013 – thousands of bees were found dead in a Wilsonville parking lot due to the probable misuse of an insecticide. The number of deaths was first estimated at 25,000, but the toll rose to 50,000 by the time nets were installed over every one of the 55 trees in the parking lot in an effort to keep more bees from drinking the poisoned nectar on the blossoms. Safari, a neonicotinoid pesticide used to kill aphids, had been sprayed on the surrounding linden trees. Later that week, some lindens that had been sprayed with the same insecticide earlier in the spring resulted in the death of more bees in Hillsboro. Currently, 18 pesticide products containing dinotefuran – used in a variety of farm and home applications – are temporarily banned, according to a June 27 article in the LA Times. And scientists are calling for an end to the cosmetic use of insecticides. While not using systemic chemical insecticides is pretty much a no-brainer for most avid Portland-area home gardeners, it still frequently goes on behind the scenes, even within Stumptown city limits. Large commercial and residential landscaping companies often use chemical sprays on landscape trees, and many farmers use insecticides and herbicides, too. The City controls insects and weeds on large swathes of land, and – judging by the number of chemical insecticides and herbicides found at local independent nurseries and box stores – plenty of home gardeners in the metro area are still using these products. What can we do about this? 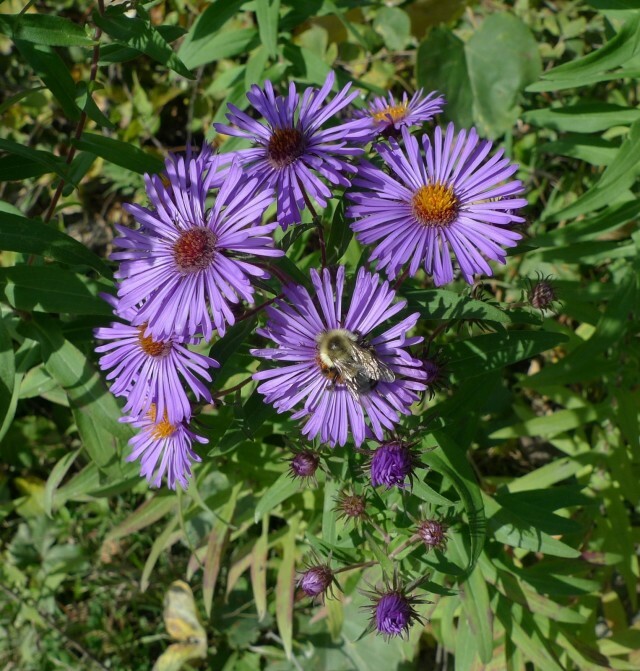 The Xerces Society has suggestions to help you choose sensible alternatives to dangerous insecticides and herbicides, and to help you help those around you who may not have access to this information. Metro also offers a Natural Gardening Guidebook, which can be downloaded from their website. The Metro website also offers great information on natural gardening. Get familiar with the website, and share the information as much as you can - especially with those who may not be aware of the problems that result from the use of neonicotinoid insecticides.